Multiple Nā Hōkū Hanohano winning singer and songwriter Kainani Kahaunaele performs at the Maui Arts & Cultural Center on Saturday, Feb. 23 at 7:30 p.m.
Kainani Kahaunaele. Photo courtesy Maui Arts & Cultural Center. Born and raised on Kaua‘i, Kahaunaele works with a sense of deep responsibility to perpetuate the Hawaiian language, particularly through the art of Hawaiian songwriting and poetry. 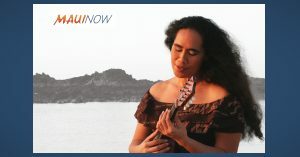 Winner of five Nā Hōkū Hanohano awards, Kahaunaele is a sought-after performer whose original compositions have appeared in films, documentaries, and TV shows. 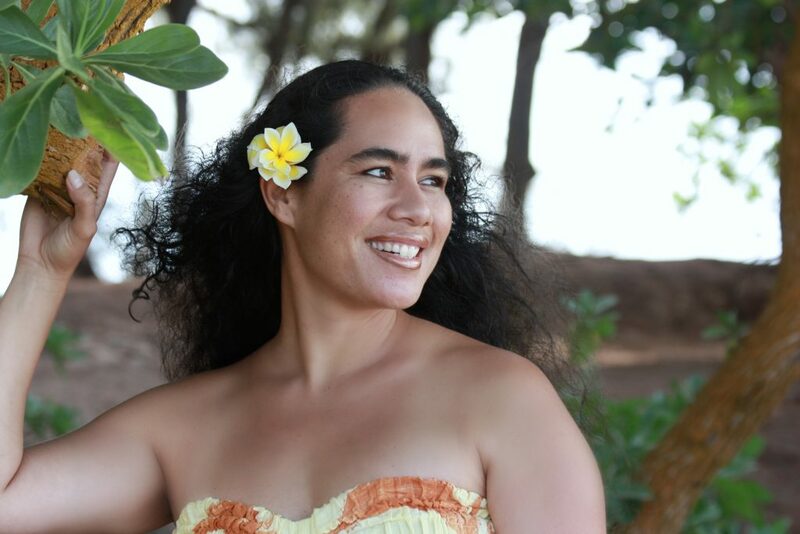 As a lecturer at the University of Hawai‘i at Hilo College of Hawaiian Language, a wife and mother of three, and a musician, Kahaunaele weaves the revitalization of Hawaiian language and culture into all aspects of her life. She has performed all over the world, worked with Hawai‘i’s most talented musicians, accompanied the finest hula dancers, and witnessed children, adults and kūpuna singing and dancing to her songs in countless school and community events. Weaving her life’s purpose seamlessly into her work, her music, and her relationships, Kahaunaele embraces her kuleana—a dedication that shines forth in her songs.